Phnom Penh Dinner at Karma! | To Be, To Be. Tutubi. 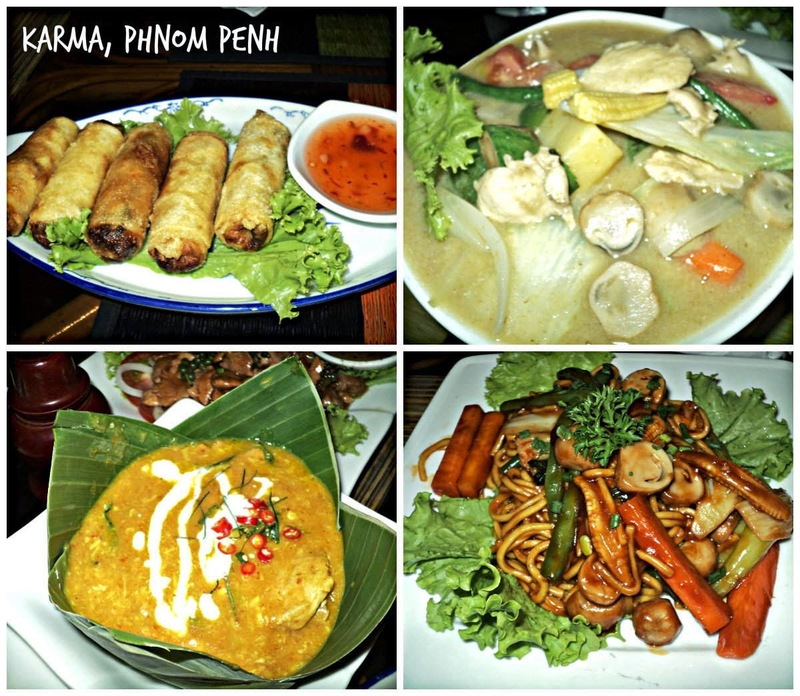 After a long day of traveling from Siam Reap to Phnom Penh (took us almost 8 hours) and then having walked a long way to see the Independence Monument, we were ready to splurge on dinner and taste authentic Khmer dishes. 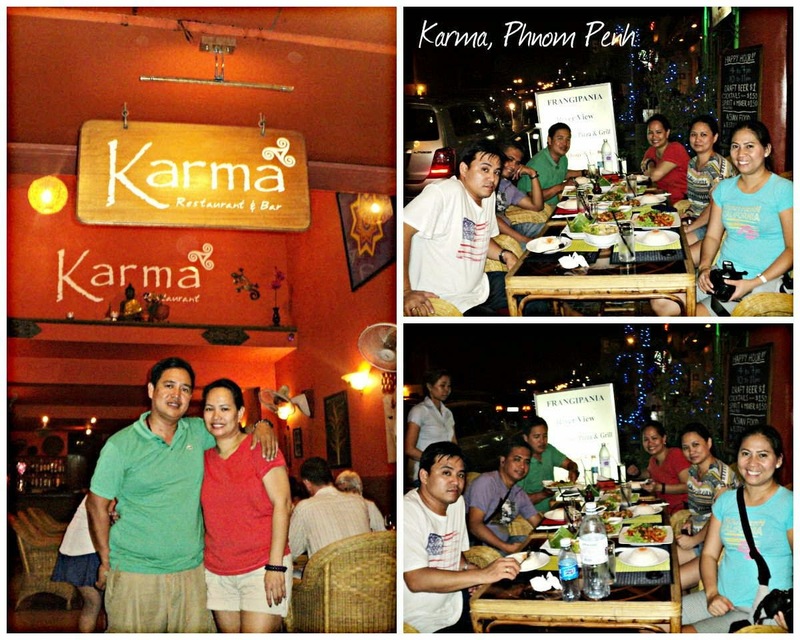 We chose Karma, as I had dined there already when I went with friends in 2013. And the food did not disappoint! I was in charge of ordering and I took to the challenge! We had fried spring rolls, Chicken and Beef Amok, some noodles and some more that I cannot recall the names right now. The food was spicy, almost like our local Bicolano dishes and they were so good! I think we ordered 2 of each kind, and for the first time ever for this group of Superfriends, we didn't get to finish the food. The servings were large and we were stuffed, happily! We also each tried a bottle of Angkor beer to help the food go down, and then we were happy to call it a night. Our next day will be filled with a tour of the Killing fields, Genocide Museum and the National Museum and then we were traveling to Ho Chi Minh in the afternoon. The boys had a night cap at the balcony overlooking the city and the we said our good nights.